The decision to emigrate has historically held differing promises and costs for women and for men. Exploring theories of difference in labor market participation, network formation and the immigrant organising process, on belonging and diaspora, and a theory of ‘vulnerability,’ A Global History of Gender and Migration looks critically at two centuries of the migration experience from the perspectives of women and men separately and together. Uniquely investigating the subject globally over time, this book incorporates the history of migration in areas as far-flung as Yemen, Sudan, the Netherlands, France, Belgium, Poland, the Soviet Union, the US, and the UK, an approach that allows for patterns to emerge over time. 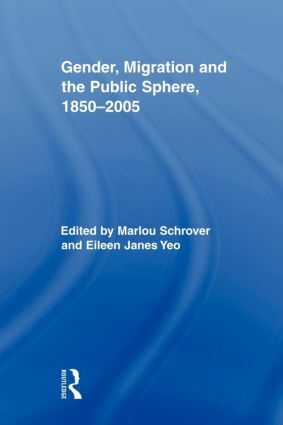 A Global History of Gender and Migration further shows that although there are various points on which migrant men and women differ, and several theories exist to explain these differences, this comprehensive guide offers a unifying thesis on the theories and practice of migration, adding to our insight into the mechanisms underlying the creation of differences between migrant men and women.